One of the most important steps in Israel Dagg’s rugby resurrection involved stem cell therapy to regenerate cartilage in his right knee. Then the All Blacks and Crusaders fullback/wing concentrated on perfecting his running style, likening the task to having to learn to walk again. 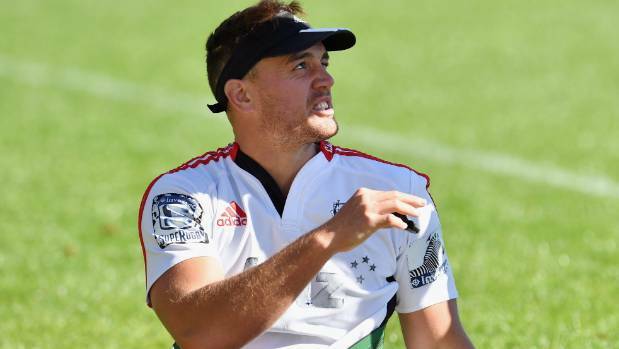 Dagg, the 66-test player, finally made his return to first-class rugby in the Crusaders’ 33-11 victory over the Sunwolves in Christchurch last Saturday night. Apart from a couple of outings with his University club, the 29-year-old had not played since representing the All Blacks against Argentina on September 9. It was after that match when All Blacks coach Steve Hansen declared Dagg must rehabilitate his knee, to give himself every chance to return to his A-game and be a contender for next year’s World Cup. Dagg describes the condition as “knock knee”, a common definition for when the joint sits at an awkward angle. Treatment, to get stem cells injected into his knee, at a clinic in Queenstown was required: “Hopefully that works, and apparently it regenerates cartilage and that is what I need. I need cartilage in between my bones, because pretty much it is just bone on bone. Taking care to ensure his leg muscles are properly warmed-up is a crucial part of Dagg’s routine prior to trainings. Warm-ups now take around 45 minutes. Ensuring his running style doesn’t compromise the knee is vital, and he is trying not to alter his gait. Obviously Dagg wants to force his way back into the All Blacks. In the short term, he hopes to be selected for the Crusaders side to face the Brumbies in Canberra on Saturday night. Meanwhile, assistant backs coach Ronan O’Gara said first five-eighth Richie Mo’unga may be asked to hold off his comeback for another week. Mo’unga hasn’t played since fracturing his jaw against the Stormers on March 9. Centre Jack Goodhue (hamstring) is also an unlikely starter. Details of the injuries to Ben Funnell (knee) and Tom Sanders (ankle), who left the park against the Sunwolves, have yet to be released. There is no chance of them playing this weekend.